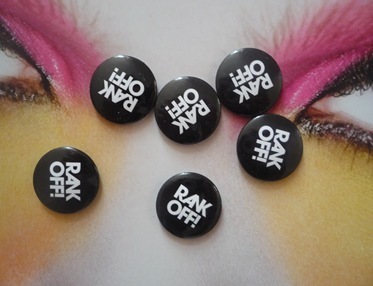 So the billboards of East London and pages of Dazed & Confused have been recently been asking us if we ‘fancy a quick rank’? Witty yes, but when emblazoned across one’s press bag, walking through Liverpool Street station suddenly becomes slightly uncomforting with the suited yuppies probably wondering why a ‘w’ has been replaced with an ‘r’. No typo here though, Rankin, undoubtedly one of the most desired photographers of modern times is currently holding a pretty huge retrospective of his work at the Truman Brewery. Definitely worth the £10 entrance fee, this broad representation of his work lays to rest any myths that the ‘notoriously arrogant’ photographer only shoots celebrities. Early works teach us about Rankin’s first move into photography where his inspiration from Weugene Smith and Don McCullin encouraged him to pick up a camera and experiment with a documentary style. Snapping guys from the street, Rankin soon began to discover his talent for bringing out the raw truth in people and allowing them to feel relaxed in front of the lens. This quality has subsequently led him to photograph some of the biggest names in social and popular culture including, Ian Brown, Jarvis Cocker, Damon Albarn, Elton John, Kate Winslet and even HRH, The Queen. Of course some of his iconic Kate Moss images are included in this show but also unique projects such as his ‘Congo’ collection for Oxfam charity. Globalizing an image of people from the Democratic Republic of Congo, Rankin shot portraits not of hunger and suffering, but of real people expressing their unique character. Promoting understanding, connection and action his images continue a reflection of what it is he does best. Many leap at the chance of being captured by Rankin himself, which is what makes this exhibition that little bit more special. A Rankin Live section allows you to get a glimpse of the man in action, as successful applicants from across the country get their quick Rank. Fancy yours? Head down to the Truman Brewery before the 18th September.